When I immigrated to the UK as a student, I had to do something that I wasn’t expecting. I had to carry with me a recent chest X-ray. I thought this was completely unnecessary. Why should I be exposed to X-rays for no good reason? Turned out that there was a reason. It was to stop the spread of tuberculosis (TB) in the UK. 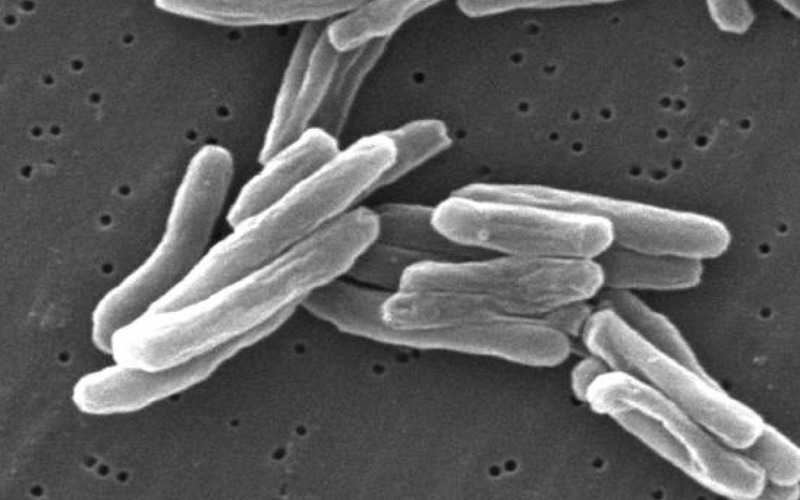 Immigrants from sub-Saharan African and the Indian subcontinent are more likely than other immigrants to be infected by TB. The UK has seen TB cases increase continuously over the past 30 years. Between 1998 and 2009 the numbers rose by 50% to 9040 cases. Most of those affected are foreign-born people. TB infection rates in the UK today are as high as they were in the 1930s, and they are among the highest in any developed country. The rise in number of cases is despite chest X-ray screening that immigrants have to undergo. That’s because of TB’s quirky ability to show up many years after the TB-causing bacteria infected a person. Researchers find that early detection makes it easier to treat TB, because more severe infections are becoming resistant to current treatments. With an aim to improve detection rates, Onn Min Kon, a physician at Imperial College London, and colleagues report, in a paper just published in Thorax, that chest X-rays are actually not as effective at detecting TB. Instead, they suggest, the UK government should use an advanced test called interferon-gamma release assays (IGRA). IGRA works on the principle that when the TB-causing bacteria are exposed to a set of chemicals, which are harmless to humans, it causes them to release a protein called interferon-gamma. If a patient who has been given these chemicals breathes out interferon-gamma, then he is infected by TB (the latent variety or not). Although a previous consultation with the National Institute for Health and Clinical Excellence had recommended the use of IGRA, it had made that recommendation in combination with chest X-rays. What Dr Kon’s work finds that a more cost-effective, and still efficient, method would be to just use IGRA. It would also spare the patient from being exposed to X-rays! This research is one among many other papers published in Thorax’s special issue dedicated to TB which coincides with the upcoming World TB day. I think I also had to have a chest X-ray done in Canada, if I remember correctly. And an HIV test, and a bunch of other things. When I went to Australia, I too had to do a chest X-ray. (Students weren’t required to do an HIV test.) This just goes to show that a whole lot of people are getting exposed to X-rays for no proper reason. Perhaps you mistake the intent of the CXR (chest X-Ray)? It is not intended to detect Mtb (the bug); rather, it is useful in detecting a current episode of fulminant or miliary tuberculosis, as well as evidence of old or presumptively cured disease. This is particularly helpful, since many a times, TB – especially for people from endemic regions – is a disease of reactivation. Therefore, getting a snapshot of your lungs’ condition via a CXR is actually a good tool. The only reason its utility is limited is because it cannot effectively distinguish amongst chronic granulomatous diseases of various sorts, such as tuberculosis, aspergillosis, or histoplasmosis, which may have similar presentations at the level of lungs. But that’s why CXRs are adjunct diagnostic methods, not the main. The IGRAs – which are basically T-cell ELISpots – are very useful, but mostly in catching latent or reactivated infection. Please understand that this is invasive, in that it needs blood, which has its own problems. Also, the blood has to be collected and stored in a specific way, and tested within a short amount of time. Besides, many people are afraid of phlebotomies. Therefore, sadly, there is no one-size-fits-all solution. The CXR remains a relatively cost-effective and useful screening technique for the purpose it is intended for. Thanks for your detailed comment. After reading the paper, I did not get the impression that CXR was so useful. The authors also don’t address the questions you have raised. I’ve emailed them now. Let’s see how they respond. Also, it turns out that two of the authors on the paper own equity in Oxford Immunotec which built the T-cell-based diagnosistic tool, ESAT-6/CFP-10 ELISpot. Here is Dr Kon’s reply: The clinical point about CXR’s is correct in that it is excellent if they have active TB or evidence of granulomatous inflammation (old or new) – however the point of the article in a UK setting (where clinically silent and radiologically silent latent TB ‘post-entry progression’ is the overwhelming cause of TB disease in UK) it is not cost effective for screening new entrants to potentially offer them preventative treatment. The CXR would not have picked these cases up.